Toys for Tots is an foundation that was put together to help less fortunate children throughout the United States experience the joy of Christmas. The primary goal of Toys for Tots is to deliver a new toy at Christmas to young children and a message of hope to less fortunate youngsters that will assist them in becoming responsible, productive, patriotic citizens. Banks Automotive will now be collecting new and unwrapped toys for the Marine's Toys for Tots Foundation to help needy child in local communities. 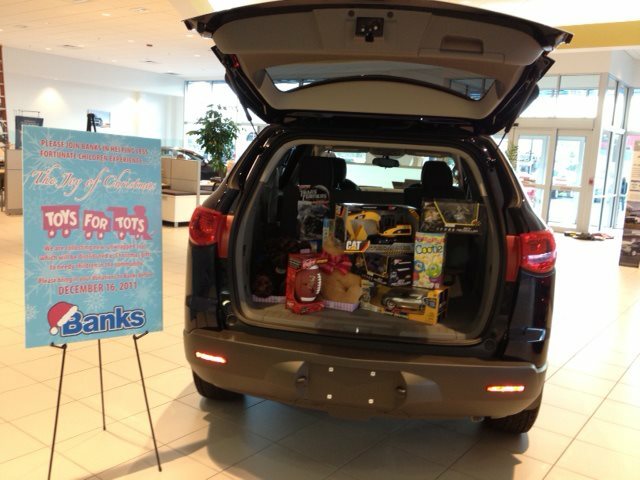 If you would like to make a donation to this great organiztion, please come to our showroom before December 16th! 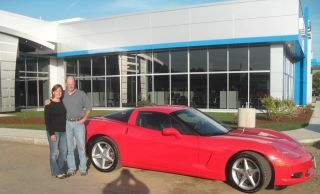 Mr. and Mrs. Joslin came to Banks to pick up their new Corvette! The couple from Littleton, NH won the vehicle at the Lincoln Woodstock Rotary raffle! 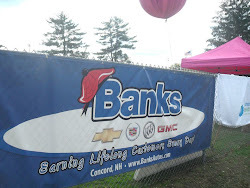 This past October was Breast Cancer awareness month, therefore Banks made the pledge to help fight against the disease and participate in the Making Strides Against Breast Cancer walk. To help raise money for the walk, Banks gave their customers the opportunity to waive their eligible rebate for service performed in the month of October. The money that was raised was donated to the American Cancer Society to support Breast Cancer Awareness and also be used in cancer research. 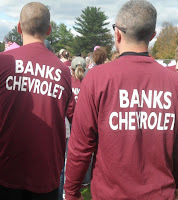 On October, 16, 2011, over 40 Bank's emloyees arrived with friends and family to help support them and their teams in the 5 mile walk. Banks Automotive was able to raise and donate $5,218.24 to the American Cancer Society for Breast Cancer Awareness!